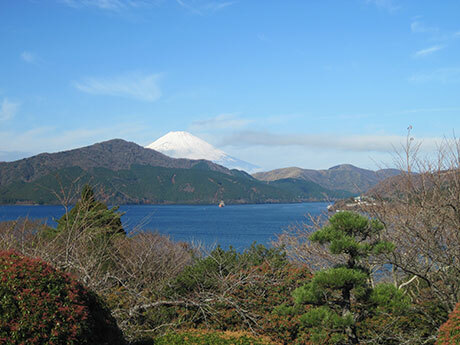 Onshi-Hakone-Koen Park is distinguished by the beauty of Lake Ashinoko, Mount Fuji, and the mountains which surround the park. In every season, those who come to the park are impressed by the grace of the landscape, and enchanted by the abundant nature. 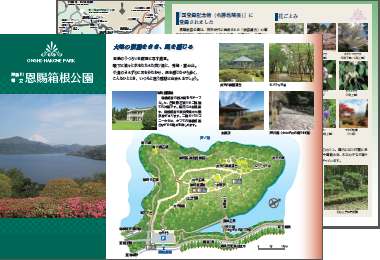 We hope that visitors to this park will explore the meandering paths, and discover for themselves why Hakone is renowed throughout japan. This path, which is lined whith gracefully trimmed trees and shrubs, leads to the Lakeside Observation Building. 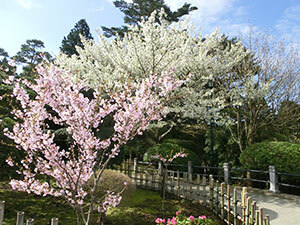 One of the many beautiful gardens at Onshi-Hakone-Koen Park. On the grounds in front of the Lakeside Observation Building, the foundation stones of the Japanese and Western building of Hakone Palace, can be seen. 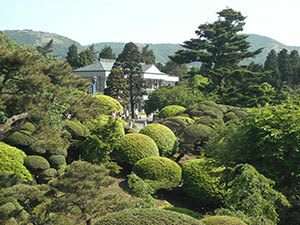 It's white walls contrasting with the green of the garden around it, the Lakeside Observation Building houses documents and other items related to the construction and completion of the Hakone Palace. From the second floor lounge and balcony, Mount Fiji, Lake Ashinoko, and the surrounding mountains are an impressive sight. 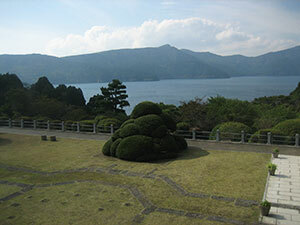 Onshi-Hakone-Koen Park is located in Togashima, which juts into Lake Ashinoko. 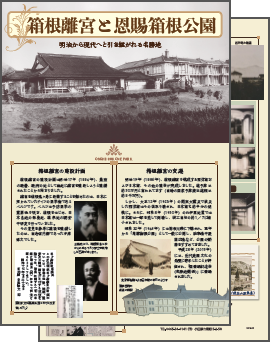 The [Imperial Household Ministry] selected the site to construct a vacation palace, to serve as a summer resort for imperial family members and foreign guests. In 18884, 163,000 square meters were purchased and the constructed on July 19, 1886. 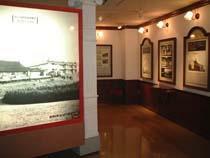 The structures were damaged by the Kanto Earthquake of 1923, and damaged again by the Northern Ito Earhtquake of 1930. Plans to rebuild the palace were prepared, but Japan's entry into World War 2 prevented the reconstruction. After the closing of the war, the imperial family gave the land to Kanagawa Prefecture on Mach 18, 1946. 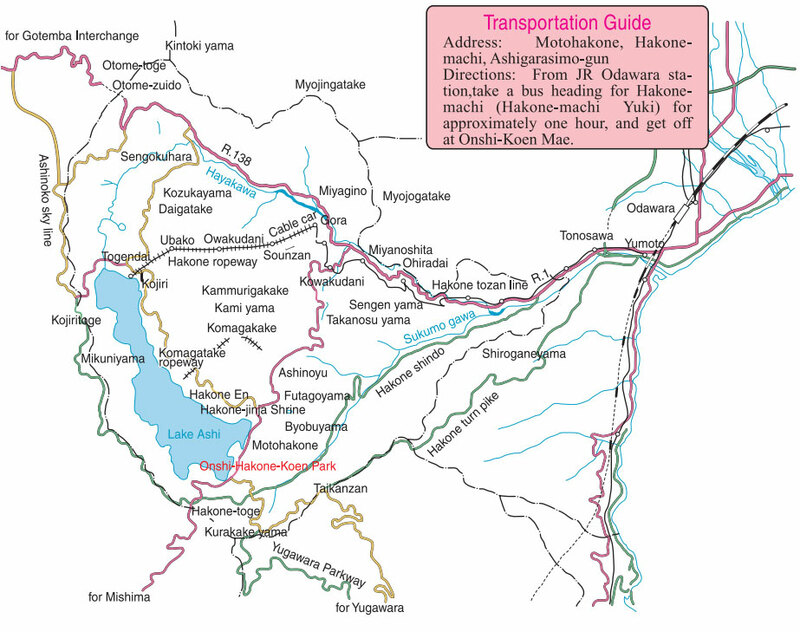 On May 5 of that same year, the prefecture opened the lands to the pablic as "Onshi-Hakone-Koen Park". 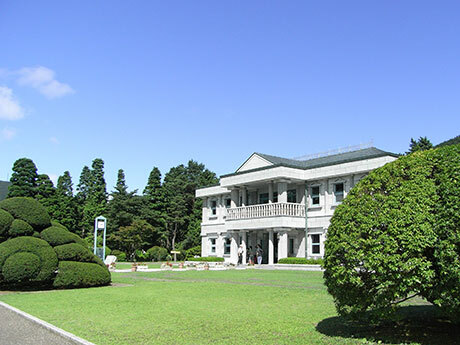 Later, in May of 1959, the park was established as a [Prefectural City Park], and since 1989, large scale restoration activites have been continued in the park. Today, the park is extremaly popular and is visited by large numbers of tourists, who come to experience the park's breahtaking sights and its unspoiled natural environment.